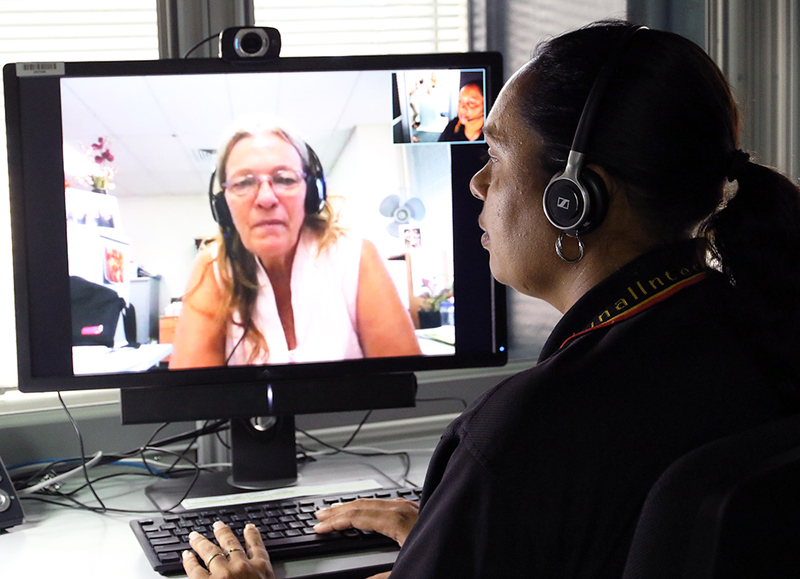 In November the Aboriginal Interpreter Service (AIS) launched the first on-demand Aboriginal video interpreting service in Australia. Over 35 000 Aboriginal Territorians speak an Indigenous language at home and the AIS helps government services reach people who do not speak English as a first language. The video and telephone service means people undergoing medical treatment interstate can access interpreting services as required. It also reduces the need for interpreters to travel, saving time and expenses. AIS staff undertook 12 months of video interpreting training with soundproof audio-visual booths built to ensure confidentiality. The AIS interpreted in 35 different Aboriginal languages last year and has piloted the audio visual interpreting using the most requested languages, with plans to expand. Interpreting services are free for Aboriginal people who do not speak English as a first language.